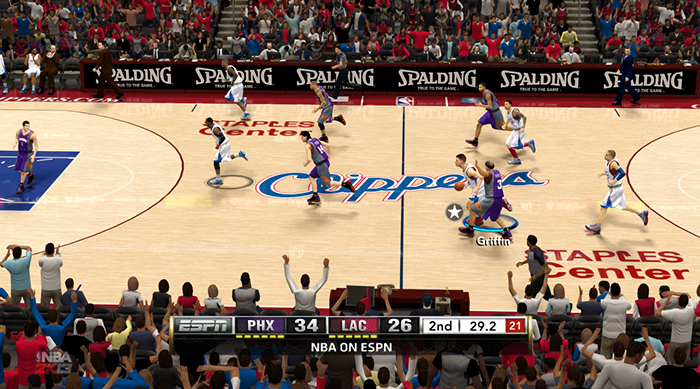 Description: This patch adds an ESPN scoreboard in NBA 2K13 based on the real ESPN Scoreboard that you can see on TV broadcasts. Backup files are included in case you want to change it back to the default 2K scoreboard. - Scoreboard with fully functional 24-second shot clock. - Overlay popups / flyouts with semi-transparency. - Unique team background colors w/ textures on scoreboard. - New NBA on ESPN themed scoreboard. 3. Move all the contents of the 'downloads' folder in your NBA 2K13 game folder. Tip: In case you lost your Online Data files, you can download it from here > NBA 2K13 Online Data.